Feelings of excitement and anticipation were so strong, you could feel their electric presence in the air. 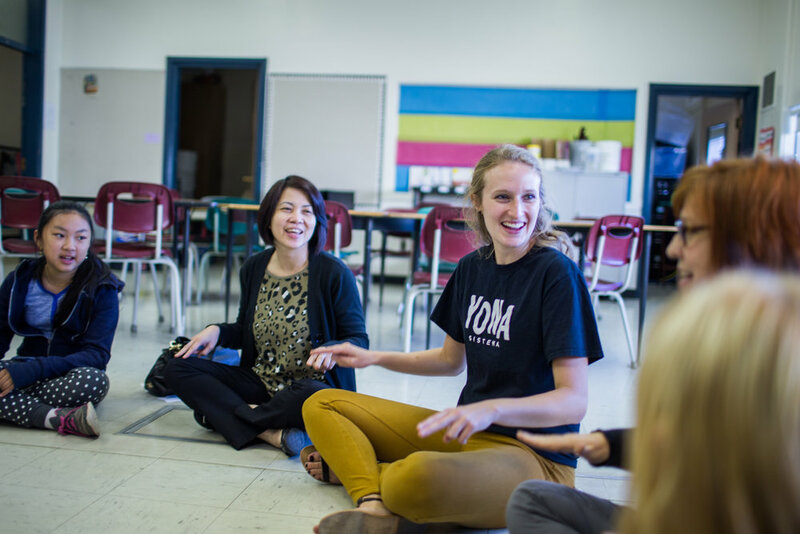 These emotions were felt by returning YONA students falling back into their practiced routine from the years before, and by new YONA students who had the opportunity to start a week earlier, in a more intimate setting. Many returning teachers enthusiastically greeted their students (some of whom returned an inch or two taller), while welcoming a few new students into their classrooms for the first time. 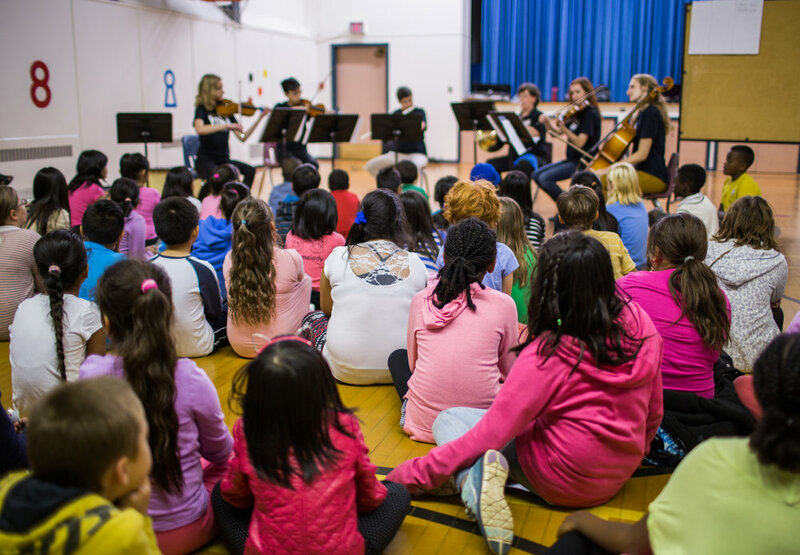 We were also excited to welcome four new Teaching Artists to YONA: Ms. Elaine teaching Brass, Ms. Natalie teaching Woodwinds, Ms. Rebecca teaching Choir, and Mr. Andreas teaching Double Bass. YONA Sistema is beginning to look and feel like a complete orchestra. I (Ms. Hafsah) was also newly hired, to provide extra support on-site. Our first day was inaugurated with a beautiful performance of Mozart's Divertimento No. 11 by the YONA Teaching Artists. 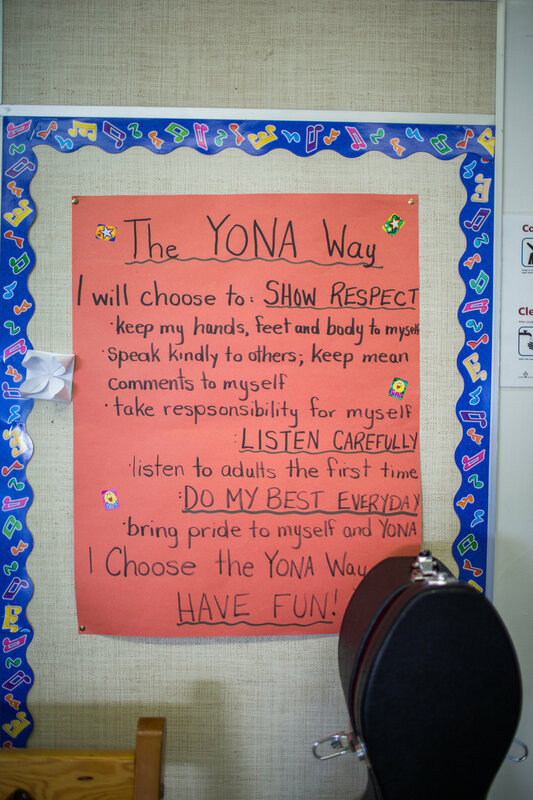 First day activities also included a reflective session on what The YONA Way looks, sounds, and feels like; representatives from each class shared ideas on the sensory experience of the YONA Way. The festivities were concluded with a game of Funky Chicken -- a classic favourite amongst the students. 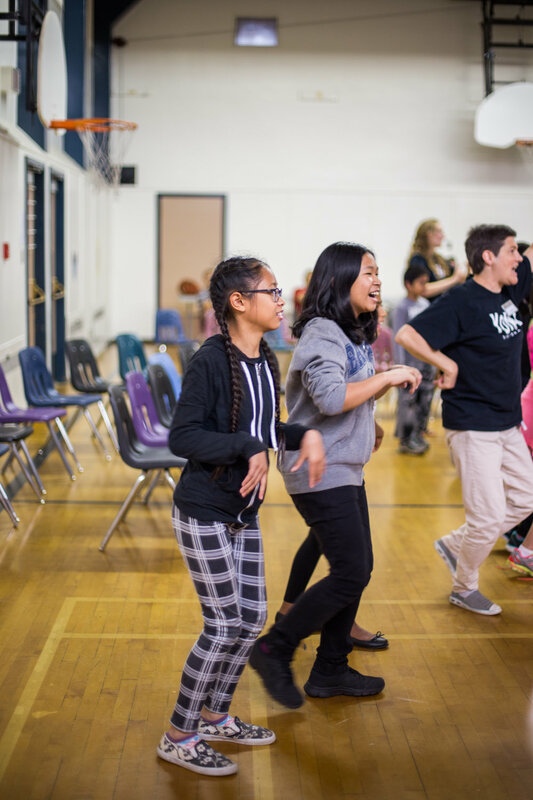 Parents, teachers, volunteers, and students all celebrated the beginning of a new chapter for YONA-Sistema with enthusiasm and love.